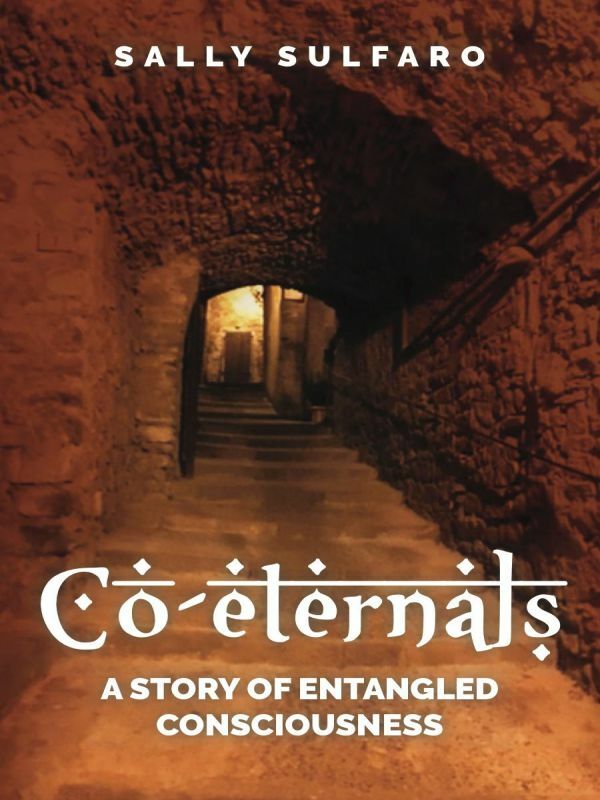 CO-ETERNALS: A STORY OF ENTANGLED CONSCIOUSNESS reaches out to a dimension where consciousness travels between one flesh-bound lifetime and another. Hope for unending consciousness is intensified by the loss of someone so dear that one’s deepest being cries out for an indication of continual existence and an eternal bond, ergo the characters in this story are not souls adrift in a sea of coincidental earthly harbors. They are wayfarers in purposeful search of resolution to pursuits and yearnings, leaving each lifetime here…sometimes merely to continue an unfinished cycle of consciousness and other times to transcend the past in search of an ideal state - with perpetual dangling entanglements. In Co-eternals, author Sally Sulfaro tracks connected souls beginning in Detroit in 2010 with the death of the rogue Goth, Fade, the handsome, conflicted protagonist in the posthumously published novel The Antiheroes by Abe Sulfaro. The story jumps continents and centuries—backward in time to the year 990 on a pilgrimage between Canterbury, England and Rome, Italy with the swashbuckling agnostic Maffeo (Feo) of Glastonbury Abbey and then returning to 2010 in Pontremoli, Italy with the talented and captivating Epifano (Fano). This cyclorama of entangled consciousness involves two strong and prescient women, Fastrada in 990 and Niv in 2010. Co-eternals is a profound, intensely researched story set against a historical backdrop, leaving no detail to chance. Sulfaro’s ability to spin a gripping tale engages readers on an enlightening, vivid journey to the last word…all inspired by a son deeply loved.